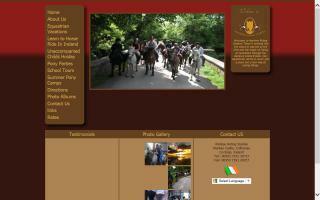 Sligo County, Ireland Horse Directory - O Horse! Welcome! With over 30 years in the equine industry, Paul & Caroline Carty provide top class riding facilities at their equestrian centre. Well mannered school ponies and horses to suit the novice or advanced rider, qualified and approved instructors, and hardworking dedicated staff to assist to our equine needs. We specialise in trail riding, whether it's a weekend break staying in a B&B or a week long stay in a castle. Tailored made packages to suit your needs. 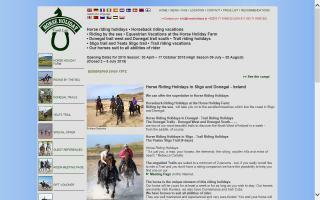 Unaccompanied horse riding holidays for teenagers from Ireland, Spain, France, and Germany.